3 ways to make your relationship feel like it did in the beginning. The not-so-secret but often neglected success factor in B2B direct marketing is simply your in-house prospect list (house file). It can be your most important asset in a successful direct marketing initiative, and it is a goldmine of low-cost leads and sales. Our data tells us that companies with the highest lifetime customer value typically have sales averages more than $500 per transaction. The faster your company gets back into existing customers’ homes with an additional sale, the bigger the return on your marketing investment. 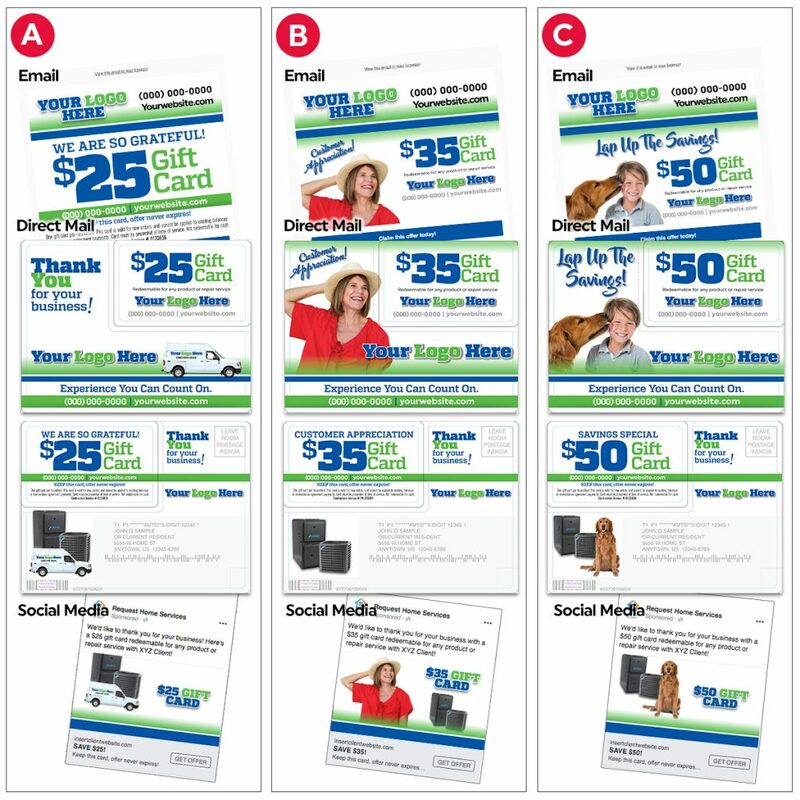 Chose your graphic style below and fill out the form with your payment information.